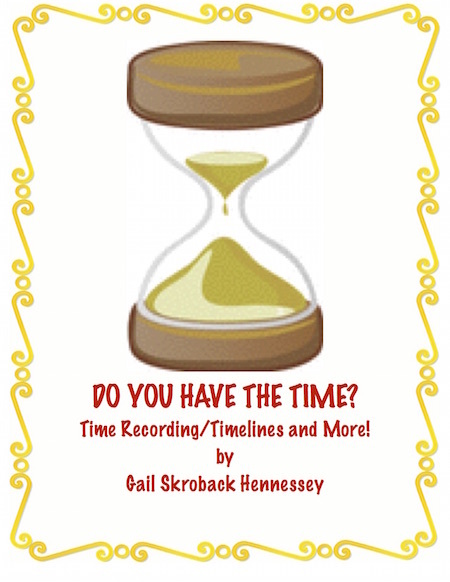 People have long wanted to "remember"important events...that's why time recording developed. Time was recorded based on ruler's reigns, the Olympic Games and the movement of the earth, sun and moon. Use the activities to help discuss time recording and timelines. Using the website on the Food timeline, make a time line of 5 foods before you were born and 5 foods since you were born.Research one food and write a paragraph using 4 facts learned about the history of that food.http://www.foodtimeline.org/timeline on the history of food-lots of fun! Make a self time line with 4 events before your birth and 4 events since your birth. The events must be things in history, science, literature and not "family" events. Use a time line and make 5 questions for another group to find the answers. http://www.factmonster.com/spot/comicstimeline.htmlTimeline on the history of comics might be a great one to use for this activity! Timeline on the history of transportation from 3500BC to 1981 AD: http://www.buzzle.com/articles/transportation-timeline.html. Have students draw/color 4 events on each side of a time line starting with 1816.
http://www.teach-nology.com/web_tools/materials/bigtimeline/Great- map your own timelines! Did you know that there are at least 40 calendars used today? Mostpeople use the Gregorian calendar(based on the earth's movement around the sun). There is also the Islamic calendarwhich is based on the movements of the moon and the Jewish calendar which uses both the movements of the earth around the sun and the movements of the moon. What year is it? On the Islamic calendar,2012 is the year 1434.The Muslims started counting again(622AD) when Muhammad left Mecca for Medina. This was a period of time called the Hijra.On the Jewish calendar, 2012 is the year 5772. On the Chinese calendar, 2012 is the year 4710. The word calendar comes from the Latin word, Kalends,the first day of each new month. Dionysius Exiguus is created with inventing the AD/BC time recording concept back in 525 AD. He based events prior to the birth of Christ as BC and anything since his birth,as AD. CE and BCE are used by some historians instead of AD and BC as they are not religious based. CE stands for Common Era and BCE stands for Before Common Era. Circa (ca or C.)means "we don't know the exact" date...it's an approximate date. Thank the ancient Egyptians for the 24 hour day...they were the first to use this idea! They also started the 365 days in a year. The ancientMayans of Central America used the sun and moon and the planet VENUS to create their calendar.